After 3 line-up changes - new members are: Jeff Ward, Trevor Helfer and Derek Blake - the band from Colorado shows on their second album a large variety and a extremely complex songwriting. Even if all songs are well arranged, it's hard for the listener to get into the songs, e.g. Mindless Game Control and Census Of Stars. 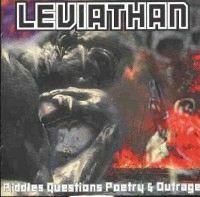 If you like melodic metal, then you Riddles Questions Poetry & Outrage is worth spending money. And prog metal fans shall give it a try, too.